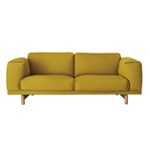 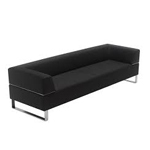 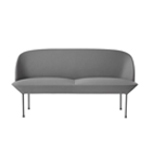 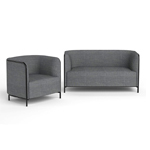 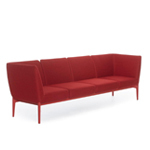 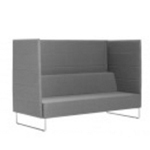 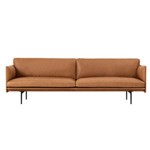 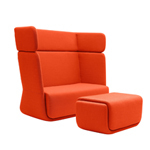 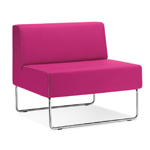 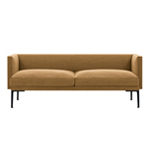 The August series of sofas with sound-absorbing qualities was created especially for open-plan working environments. 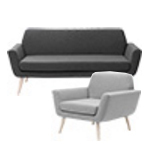 The sofas come in a range of widths and heights, allowing you to create free-standing islands of privacy of different shapes and sizes where you can hold mini-meetings, delve into paperwork or make important phone calls away from the busier working areas. 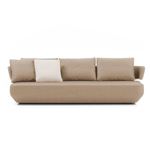 In terms of style, August is chic in a slightly reserved way and very composed. 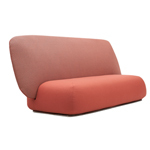 The asymmetrical backrest cushions, which resemble sea stones, provide a friendly accent. 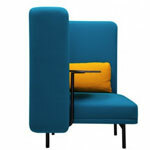 The functional nature of August has been packaged in a compact, modest form that’s designed to fit in with any interior.